The retail industry is particularly affected by the crime. In our tech-focused age, credit card (and debit card) fraud continues to be one of the most common and fastest growing types of crime. Because the retail industry relies so heavily on credit transactions, it is particularly affected. It’s likely that everyone reading this article has either been the victim of credit card fraud, knows someone who has, or has dealt directly with the crime as part of their job. While not all types of credit card fraud directly affect retail loss prevention, all LP professionals should learn as much as they can about the subject and be prepared to deal with it should the need arise. This article contains some information, tips and best practices that all consumers and retailers should know. This information relates mainly to payment terminals and PIN pads in retail but it also directly relates to ATMs, gas pumps and almost any device you can stick a debit or credit card into… Read the full article. A newer twist to gift card fraud. While effective in driving sales, gift cards have also caused fraud headaches for retailers for years. Gift card fraud can range from physical theft to gift card cloning to exploiting errors on the merchant side. One newer gift card scam involves gift card cloning. To clone a gift card, thieves steal information from inactivated cards on stores shelves, duplicate the cards using a magnetic card reader/writer, and wait for the cards to be activated. Once activated, they spend the cloned gift cards before the purchaser tries to use their legitimate card. One of the biggest mistakes retailers make is the open display of inactivated gift cards, making them physically accessible to thieves… Read the full article. Understanding what it is, how the device is used, and tips for avoiding incidents. A credit card skimmer is a device by which thieves and fraudsters steal credit card information. Often these events will occur in the retail setting, but there are other ways and means by which the devices can be used to steal information from card owners for criminal purposes as well. Unfortunately, all it requires is a little illicit technology and a lot of criminal intent. A credit card skimmer is a small device that can scan and store credit card data from the magnetic stripe on the back of the card. Credit card skimmers can be installed on a gas pump, on ATM machines or other card reading devices, or corrupt employees can have a credit card skimmer on their person, out of sight of customers but easily accessible to the dishonest employee. Once the card is run through the skimmer, the data is recorded, and the information can be used for identity theft incidents by the fraudster or sold through a contact or on the Internet, at which point counterfeit cards can be made using the stolen card information. Criminals can then go on shopping sprees with a cloned copy of the credit or debit card—often with fraudulent names to further avoid detection—and cardholders are often unaware of the fraud until a statement arrives with purchases they did not make… Read the full article. A growing black market connects sophisticated hackers to identity thieves to make counterfeit cards. Credit card fraud is a common type of criminal activity in the retail setting that involves the use of credit cards as the form of tender to obtain goods or services, and typically originates with the theft of the actual credit card or the account number. If a credit card or number is stolen, the cardholder may not become aware until receiving a billing statement several weeks later that the incident occurred. Most businesses use a third party to process their credit card transactions when a purchase is being made. The processing company will process the date during a transaction and will provide an approval for the purchase. This is done electronically and is processed in a matter of seconds. If a stolen credit card is used, the merchant is generally not liable providing they took the appropriate steps at the time of the transaction. Employees should be taught the common signs of a customer who is committing credit card fraud in the stores…Read the full article. So why is the rollout in the U.S. retail industry going slow? How do EMV cards reduce credit card fraud? Mag stripes on traditional credit and debit cards store data that is unchanging. 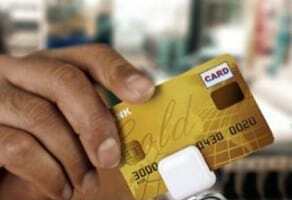 That makes traditional credit cards prime targets for counterfeiters who can easily access that static data. In addition, mag stripes are easily duplicated. With a chip-embossed EMV card, a unique code is created for each transaction and the code cannot be used again. The introduction of EMV cards in other countries has proven to be effective in curbing credit card fraud… Read the full article.